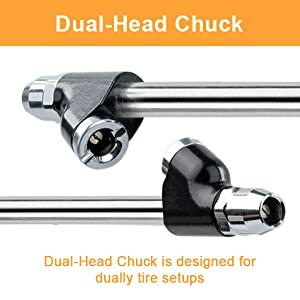 The dual-head extended chuck fills dually wheel setups easier than ever. 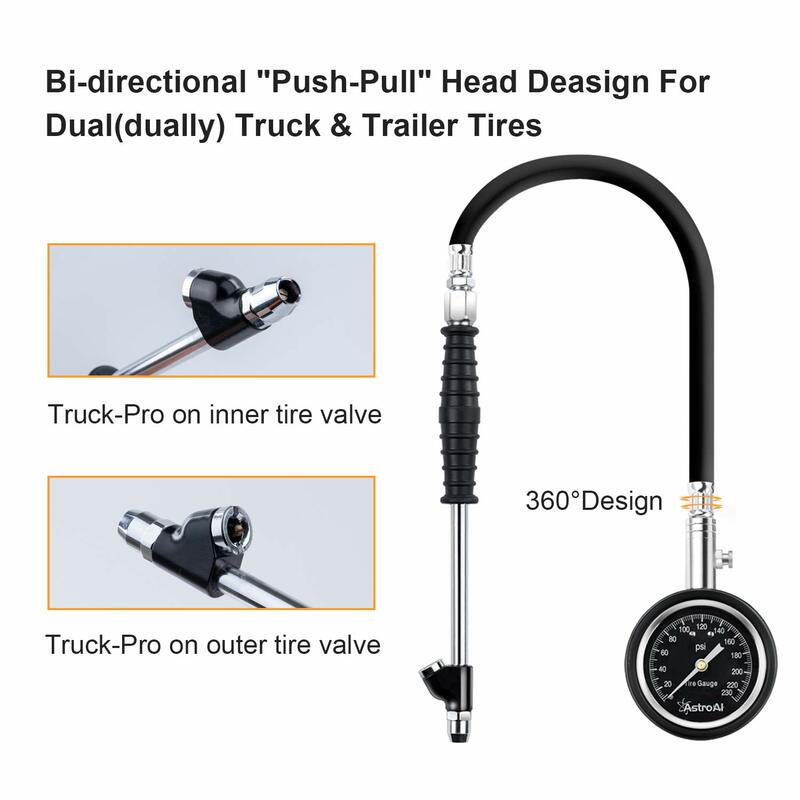 The extended tip reaches farther and the dual-head fills from both ends to catch valve stems from multiple angles. 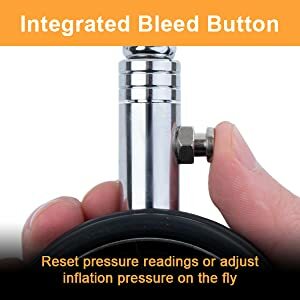 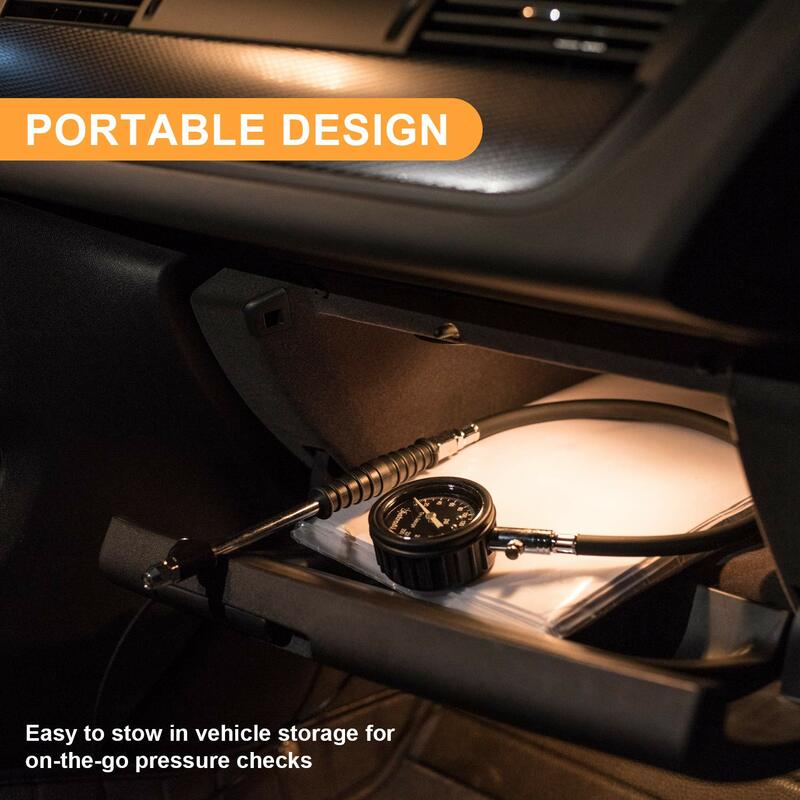 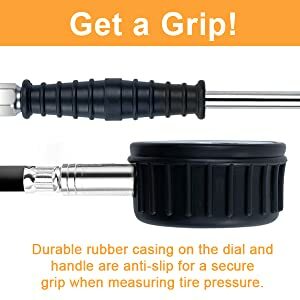 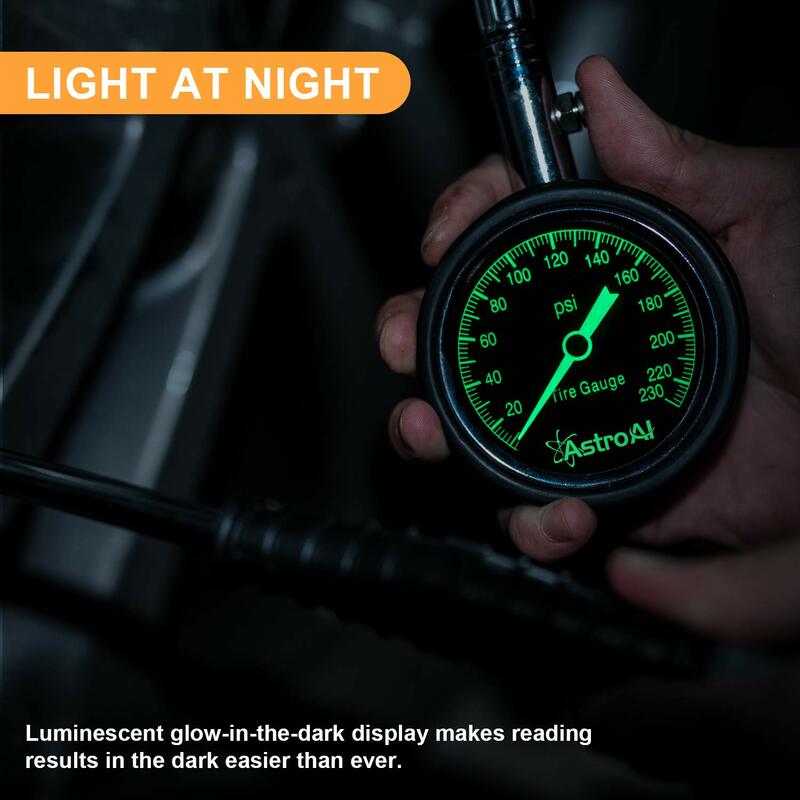 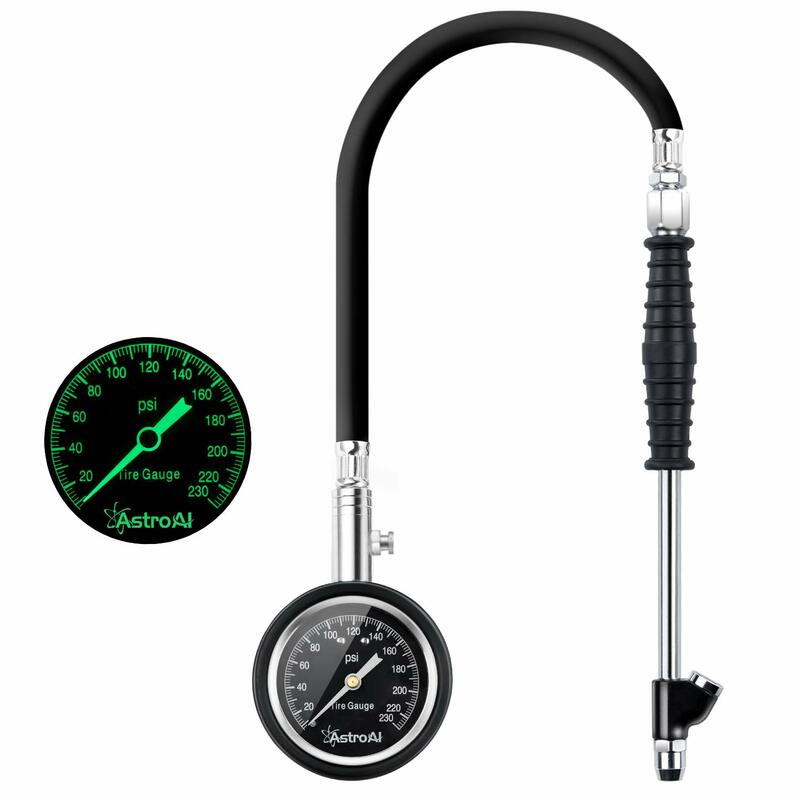 This gauge quickly gets accurate results, but in case you over inflate your tires, there's an integrated bleed button that will release air on command. 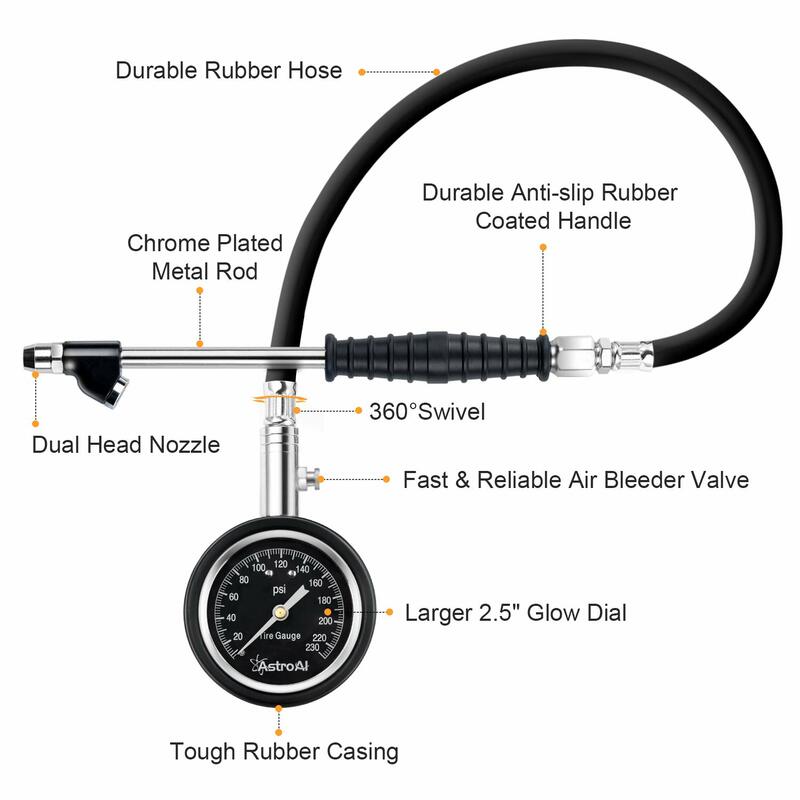 Schrader valves are the automotive industry standard. 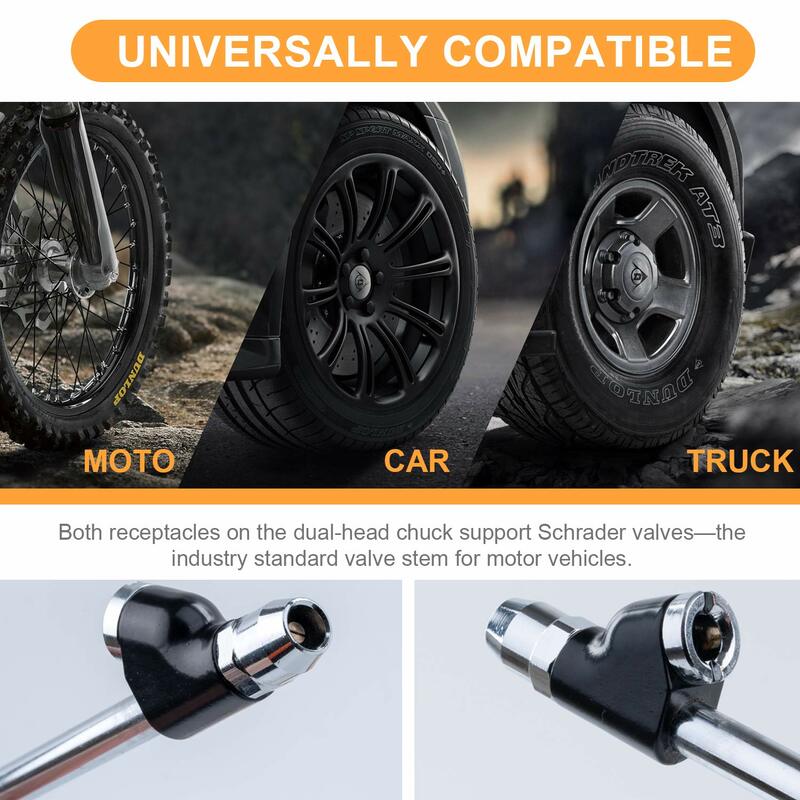 Cars, trucks, SUVs and motorcycles all come equipped with universally accepted Schrader valves. 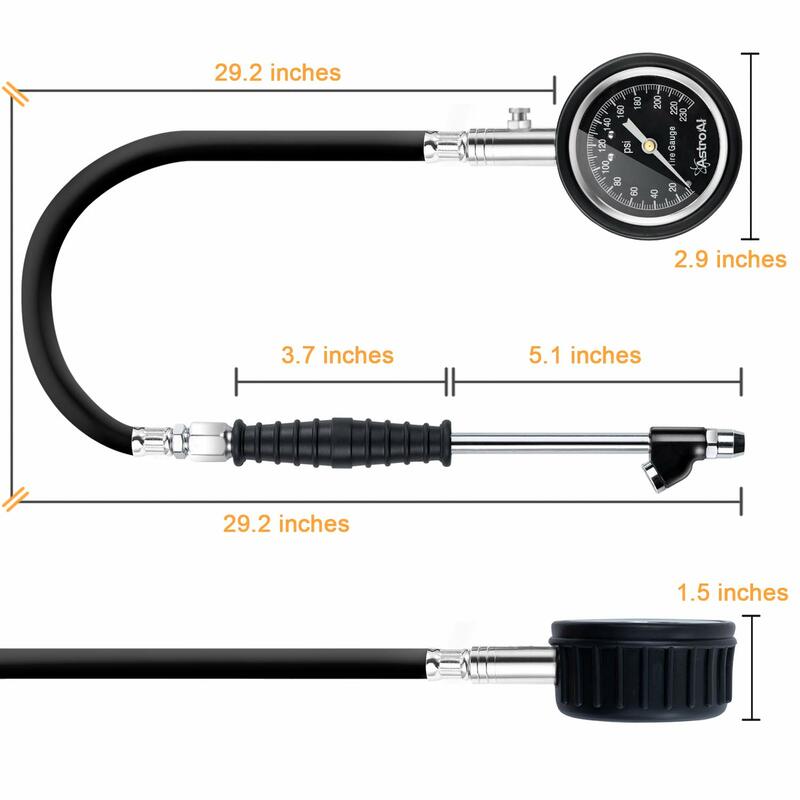 Most bicycles also feature these valves, making this gauge even more compatible and convenient.